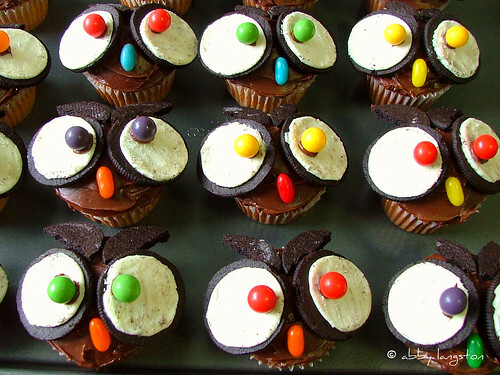 Because they are so fun, we present our top 10 cute owl cupcakes (though we reserve the right to make another top 10 owl cupcake list sometime in the future, because there will surely be more)! 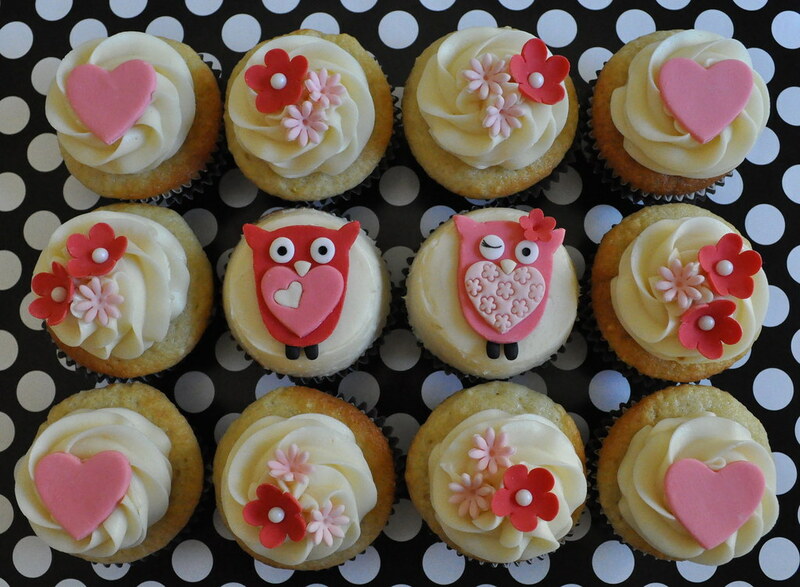 Many of these are inspired by the popular cookbook Hello, Cupcake! 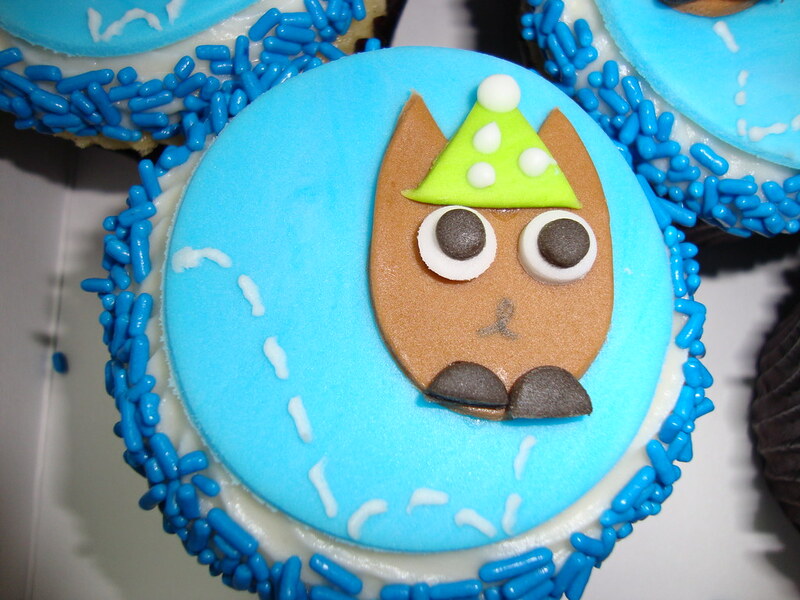 by Karen Tack and Alan Richardson. 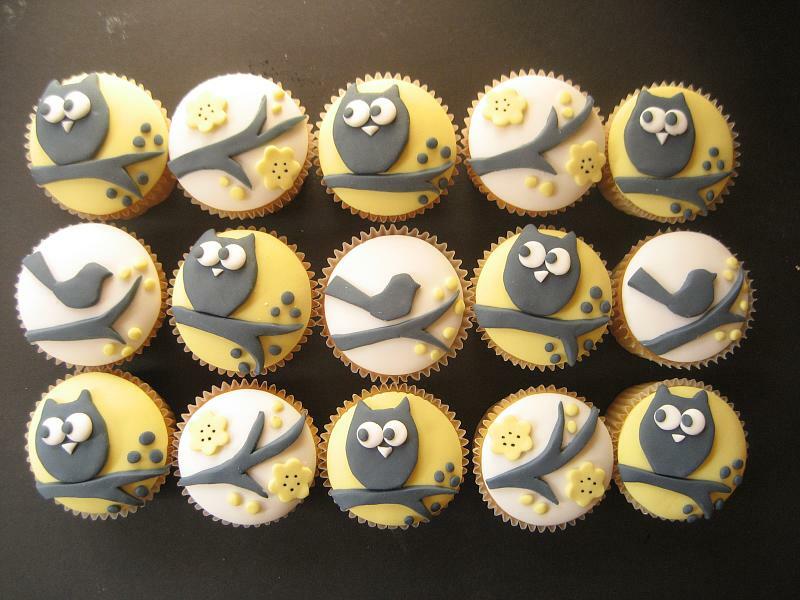 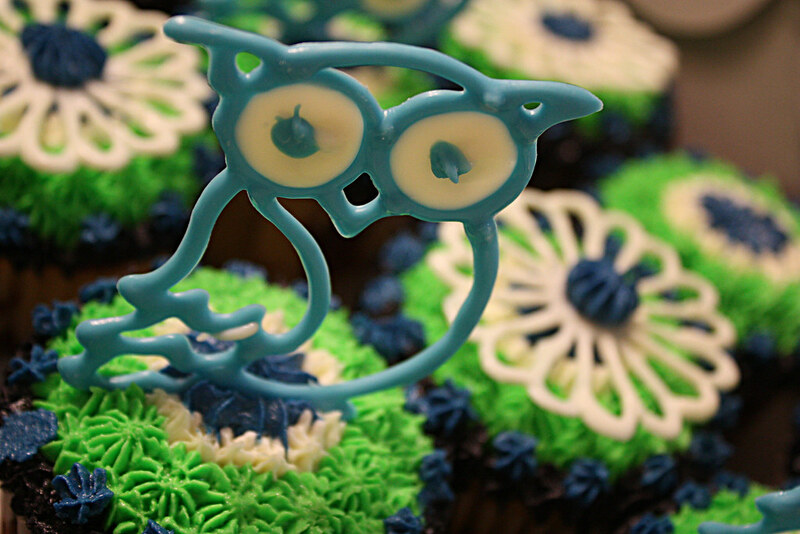 This owl with glasses cupcake by blogger Baa Baa Cupcake, Have You Any Frosting? 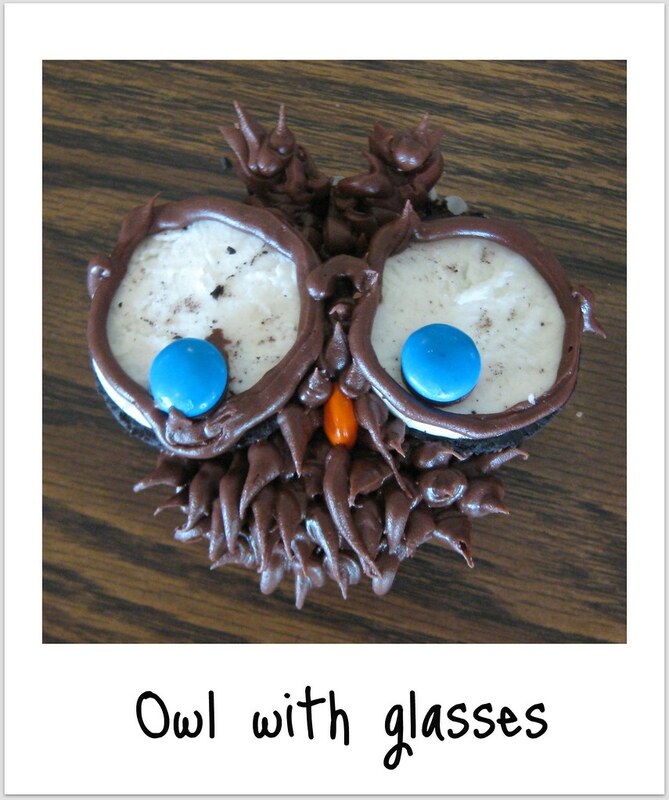 inspired this post! 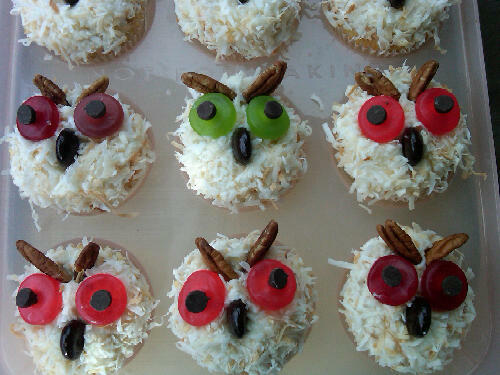 These owls were made using chocolate fondant (Choco-pan), white chocolate melts and M&M candies for the eyes. 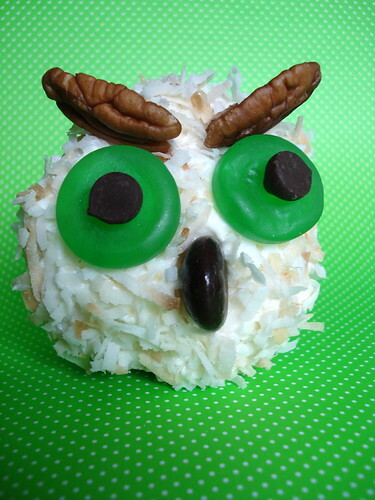 The candies were fastened using icing. 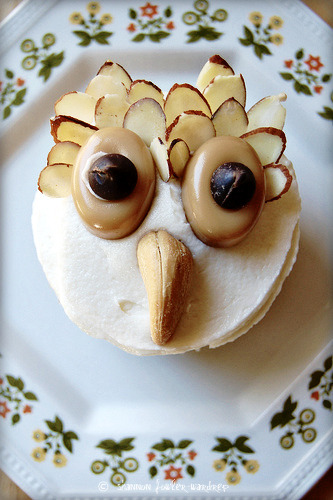 The eyebrows and wings (feathers) are almond chips. 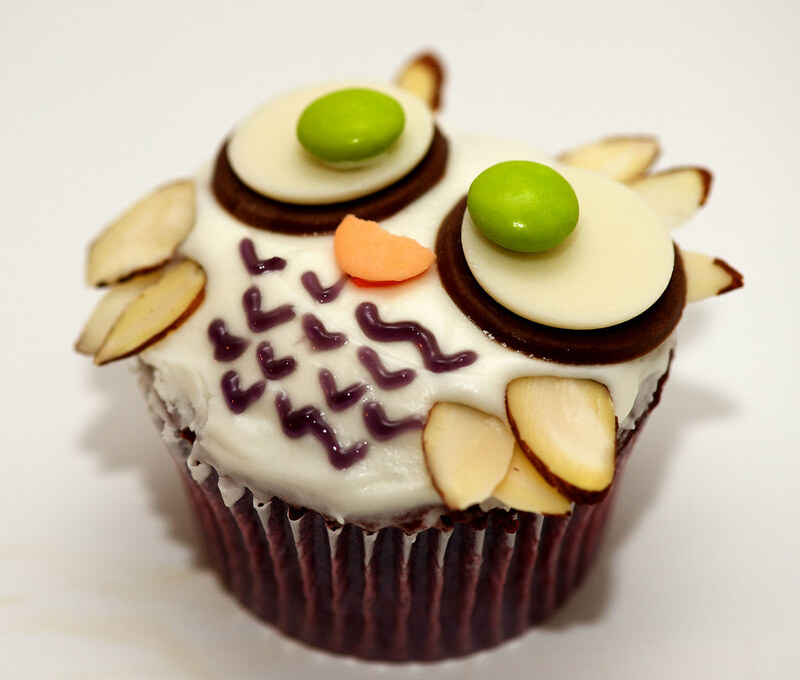 The body design are little "V" letters made with purple gel icing & the nose is just a large round quin (sprinkle) broken in half. 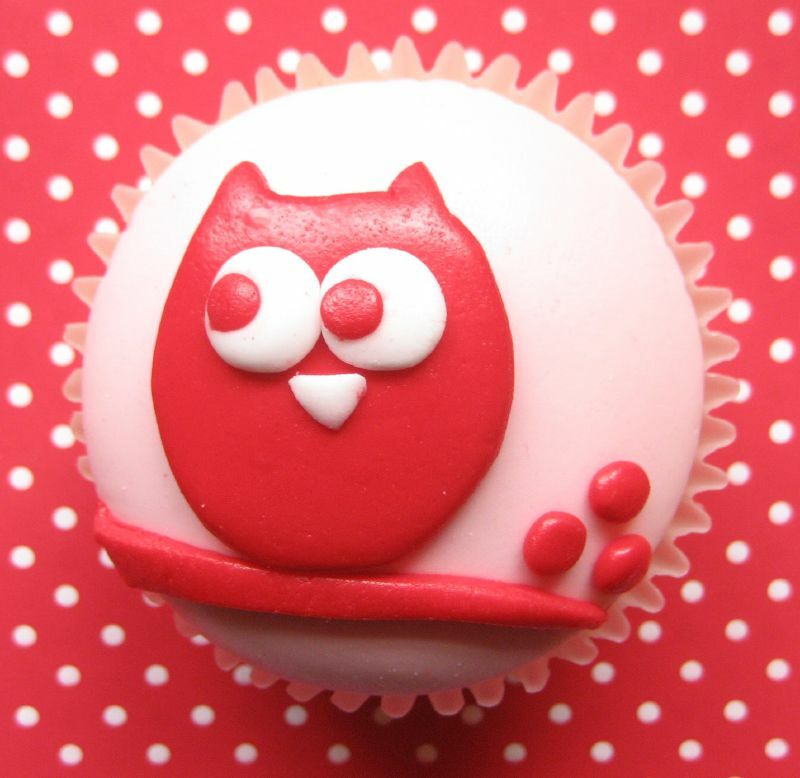 I'm using two by beloved cupcake creator Hello Naomi (and counting them as one to squeeze in the most owl fun possible) because they are just so cute! 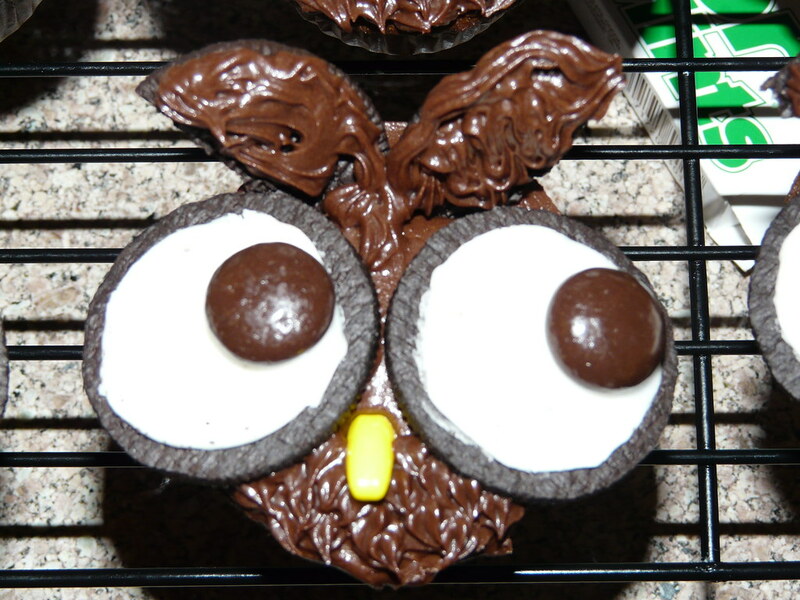 The extra big Oreo cookie eyes and cute chocolate ears on this owl cupcake by All You Need Is Cake on Flickr round out our top 10!